Hasbro ceased production of their Easy-Bake Oven baking pans in the fall of 2013. Two years before Hasbro ceased production, we began researching the manufacture of the perfect banking pan to compete with the Hasbro brand name product. Our research paid off. 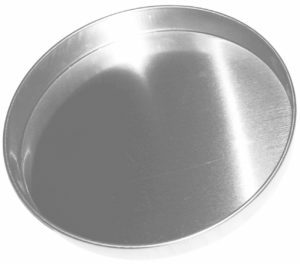 These pans are made of long lasting, sturdy, durable steel metal, and since January 2013, we have now sold thousands of these pans with 100% buyer satisfaction. In fact, many buyers have told us that they prefer our pans over Hasbro’s because they are slightly larger, so are the cakes.